Maybe you’re among that 40% of people who suffer from GERD, and you’ve experienced symptoms like heartburn, regurgitation, chest pains, sore throat, and coughing on a routine basis. You’ve lost tolerance for certain foods, you’re in pain, you can’t get a decent night’s sleep, you feel compelled to chew lots of anti-acid tablets, and you feel like daily life is limited. But there is a solution! 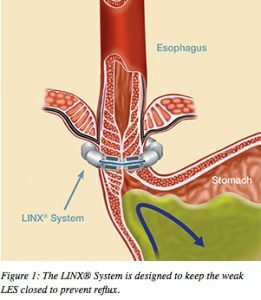 Southern Reflux Center is committed to bringing patients hope, and they’re doing that with the LINX System. This effective surgical procedure utilizes a tiny and flexible band of magnets enclosed within titanium beads. 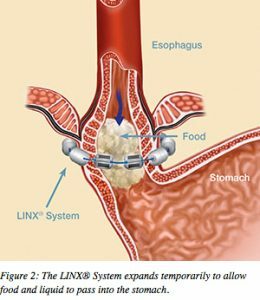 Placed laparoscopically, the LINX system is placed around the esophagus. The magnetism between the beads keeps the weak LES closed and prevents reflux from taking place. The magnetic bonds are temporarily broken with each swallow, allowing the safe passage of fluids and food. 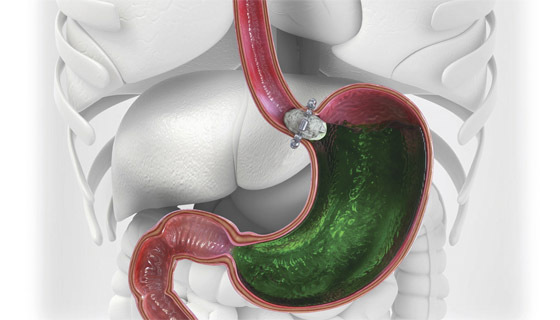 The magnetic attraction closes the LES and continues to reinforce the barrier against reflux. The procedure is minimally invasive and downtime is mitigated. This minimally invasive procedure can be done at our Southern Reflux Center. During surgery, you will be placed under general anesthesia and the procedure usually only takes an hour. After the LINX System has been implanted, it begins working immediately. The end result is the elimination of symptoms, restored eating enjoyment, and improved sleep patterns. To find out if you are a candidate for LINX, contact the Southern Reflux Center by phone or online today.